Many Americans today are enjoying a factory-raised defrosted frozen turkey, a box of stuffing (just add water! ), dried reconstituted mashed potato mixture (just add more water! ), a box of gravy (microwave and serve! ), a can of string beans (tastes just like mom used to make), jellied cranberry sauce (ditto), store-bought pumpkin and apple pies, and alcohol. Lots of alcohol. Today we live like kings: Drunken kings of gluttony. At this time of year, most Americans also give pause -- a moment's pause before going shopping -- for things we are thankful for. I have a lot to be thankful for this year: The twin nuclear power plant near where I live was closed permanently -- my thanks to the activists who fought to keep it shut, to the Nuclear Regulatory Commission who wouldn't let it re-open, and to the plant's owners/operators, Southern California Edison, for finally giving up on that rusty old behemoth. Cancer rates in the area are likely to go down, and thanks to the National Academy of Science, a study which may reveal that possibility is being undertaken. My wife's cancer is being treated, first with a mastectomy last August (on our 36th wedding anniversary), now with chemo drug therapy, next with radiation therapy, and then with (anti-)hormone therapy (for ten years). But she's alive and the prognosis is good, so I am thankful for that. And meanwhile, she's going to try a new procedure as an experiment during the rest of her chemo sessions, something I proposed and her doctors approved: Exercise DURING the chemo session! I believe that it's the best way to get the chemo drugs into the cells where they're needed. It's well known that cancer cells need a lot of blood and force the body to supply it by building extra blood vessels into the cancer cluster(s). By exercising while the cancer drugs are being administered, instead of sitting practically motionless the whole time, we believe the drugs will be much more effective. We proposed the exercise program to my wife's oncologist and we're planning to begin a larger research project to study the idea, with her as the first patient. Most of the nausea and weakness you hear about from chemo are after-effects, NOT what happens while the drugs are being administered. (Many of the modern chemo combinations are much better than previously, too.) Chemo drugs kill fast-dividing cells, but to do so, they need to reach every cancerous cell in the body. Getting the blood pumping seems the best way to make that happen. So perhaps I have more to be thankful for than most people right now. Fukushima is far, far away... or is it? It's in everything I ate and drank today. It's in everything I will eat and drink tomorrow, and every day for the rest of my life. Just as surely as a few atoms of great Caesar's last breath are mixed into every breath WE take, so too, is Fukushima, and people need to be aware of this fact. Below is a Thanksgiving greeting from the Fukushima Fallout Awareness Network, and a link to a video of Cathy Iwane, speaking at the Nuclear Regulatory Commission's "Waste Confidence" hearing in Carlsbad, California on November 18th, 2013. We've got to stop the radioactive pollution of the planet, first, by closing the nuclear power plants and military reactors, and then securing ALL the waste. FUKUSHIMA FALLOUT AWARENESS NETWORK BRINGS YOU A SPECIAL THANKSGIVING DAY GREETING! 1. DONATE your time and/or money to FFAN's crucial effort TODAY! 3. SUBMIT Your Comment to the FDA: Insist they lower the acceptable levels of radioactive contaminants allowable in our food supply. 4. WRITE A LETTER (sample here) to your Representative to demand FDA do their jobs to protect our families by monitoring our food supply. 5. JOIN FFAN on Facebook to get up-to-date information. 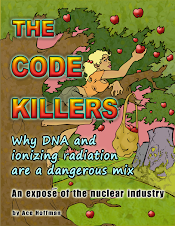 Radiation continues to emit from Japan's Fukushima nuclear plants, affecting the global environment and food supply. Education and awareness are key. 6. DONATE $5 TO FFAN TODAY! Help us continue this vital work. PLEASE SHARE FFAN'S RECIPE WITH FAMILY & FRIENDS. LET'S GIVE OUR CHILDREN A CHANCE FOR A HEALTHY LIFE!